Reverse logistics comes into play when equipment reaches the end of its lease or the end of its useful life. At SSI, the term also refers to the processes that lead to a product’s disposition through remarketing, redeployment or environmentally secure recycling. 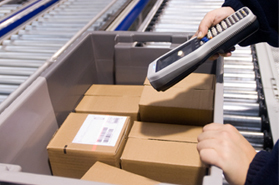 Reverse logistics differs from the forward supply chain in the physical distribution flow, and is characterized by sporadic and random routing that presents unique challenges. Notify OEM on receiving records so they can settle with distributors and/or retailers. Inspect and record each asset’s physical condition, parts/accessories, etc. Detailed report on each asset including: RMA no., receipt date, shipper location, B/L no., model, S/N, condition code, etc.